New addition to the WMFHA team! 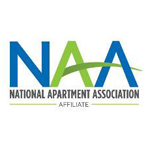 The Washington Multi-Family Housing Association is pleased to announce the addition of a new staff member. Katrina Bishop has been hired as Office Manager. Katrina replaces Jessie Kotarski, who has joined the City of Renton. Jessie has been an invaluable contributor to WMFHA’s success and has served our members well. We welcome Katrina, who will be responsible for office management, customer relations, billing and accounting, and membership management. You may reach Katrina at katrina@wmfha.org. Katrina comes to us with a broad range of experience and skills. Most recently, Katrina worked for Telepress as Accounting Manager and Human Resources Manager. She oversaw all phases of the accounting, vendor management and payroll processing/benefit administration. Before that, she was the Office Manager for a major produce distribution company in the Seattle area. New to the industry, she is eager to learn everything she can about the multi-family housing industry and the many ways it impacts our region, the families who live here and how she can contribute to that impact. Katrina enjoys spending time with her family and friends. When she is not in the office, you will find her gardening, crafting and working together with her husband of 20+ years, John, to restore their classic MG. Please feel free to introduce yourself to Katrina. She is anxious to meet and serve our many wonderful members.